Home » Bankruptcy » Help! I’m Being Garnished! Many clients show up in my office when their pay is garnished to pay a debt on which they were sued and the creditor won a judgment. Many clients don’t know they might be able to get that money back (or at least most of it). That’s where I come in. Joe Doe came to my office after his check had been garnished for several months—he just couldn’t make it on what he was taking home, since the creditor can take up to 25% of a paycheck. Bankruptcy law allows recovery of any funds paid to one creditor of over $600 in the last 90 days. Joe had paid just a little over $2,000 before he came to my office. We filed his bankruptcy as a Chapter 7 bankruptcy since he wasn’t a high-income earner and we were able to recover those funds. We were also able to keep the money in his pocket without giving any to the bankruptcy trustee since Joe was able to use his State exemptions on them. Next time you hear a friend talking about his paycheck being garnished, ask him to call me. 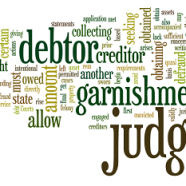 I can help stop the garnishment and recover most of what was taken in the last 90 days.